In this article, we will tell you how to calculate the shipping rates based on the weight and dimensions of the box when using the WooCommerce FedEx Shipping Plugin with Print Label. Read more below. Let us consider an example where we want to pack more than one product in a single box based on weights and dimensions, by using Woocommerce FedEx plugin. C is the box in which we would like to pack Product A and B. In Parcel Packing Method option, select “Pack into boxes with weights and dimensions”. Next, add a custom box which can be used for packing Product A and Product B together. To create a custom box, click on the Add Box button in the custom box dimensions. 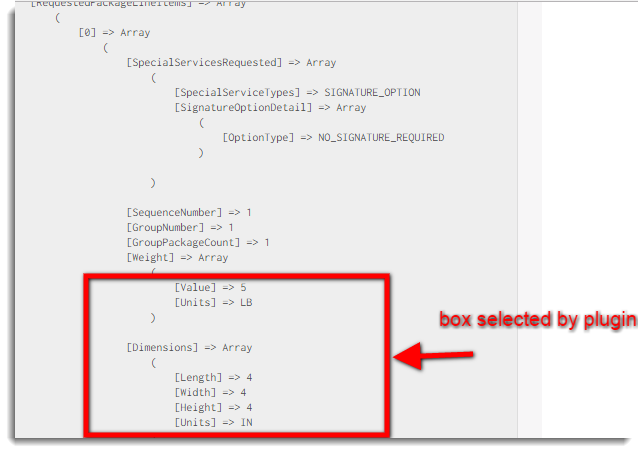 Give dimensions and weight of the custom box, as shown in the screenshot below. Verification: To check whether Product A and Product B are packaged in a single package, enable the debug option. Go to cart page and check package dimensions in FedEx request. 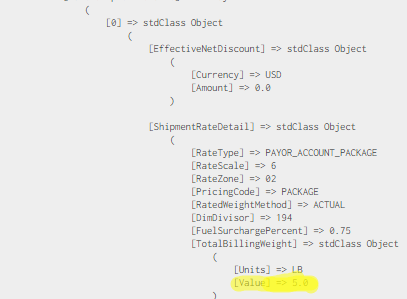 In the FedEx request, we can see the plugin has requested FedEx with a box of the requisite dimensions. FedEx has responded that it has custom box services for weight = 5 lbs. So billing amount will be charged for the package of total weight 5 lbs. The weight of Product A + Weight of Product B + Weight of package = 5 lbs ( package weight is Zero). 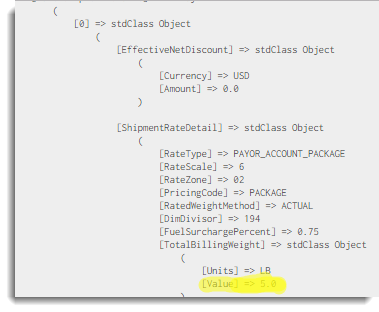 Hence, as you can see that both Product A and Product B can fit easily in a single package. Therefore, box packing is quite easy if you pay attention to the dimensions of the boxes being packed. For product A, why does the image says 3x2x1 but the text above it say 3x4x3? I have a hard time getting the right custom box to be auto-selected by fedex based on whether I ship 1, 2 or 3 items together. That was a mistake from our end. We have corrected it now. The products are of dimensions 3 x 2 x 1 and 4 x 3 x 2. Our guys will help you.